Offering dramatic water views from spacious balconies in every home, this 1986 community rapidly rose to distinction as the fastest-selling of its kind on the Suncoast. 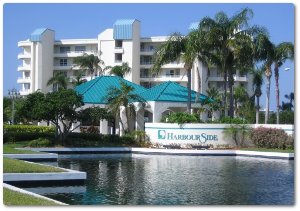 Occupying 59 choice acres on Boca Ciega Bay known as Star Island, this prominent 722-home condominium community includes a large clubhouse, several pools, tennis courts, boat slips, a dock and much more. Perfect proximity to beaches, shopping and business centers sealed its success.